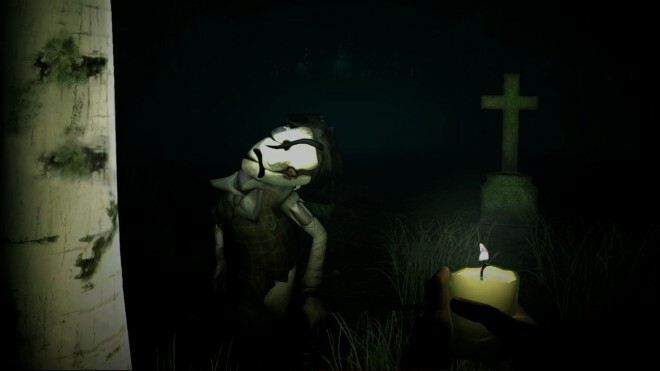 Wick is a game that takes the concept of the campfire ghost story and makes a game out of it. 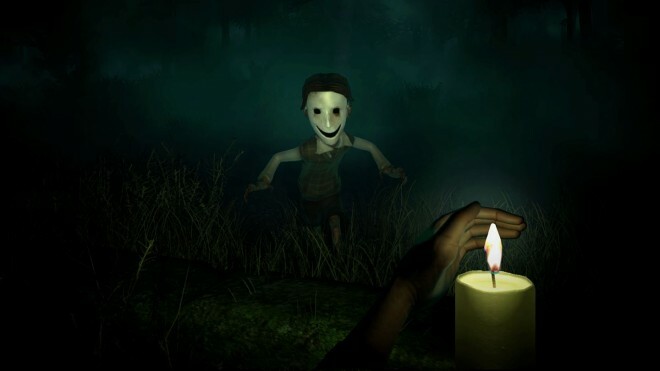 It pitches the player as a lone teenager who is blindfolded and left in a supposedly haunted forest with nothing but a candle and a few matches for company. The player has to survive the night, from midnight until six, and it rapidly transpires that the forest is indeed haunted. Very haunted indeed. 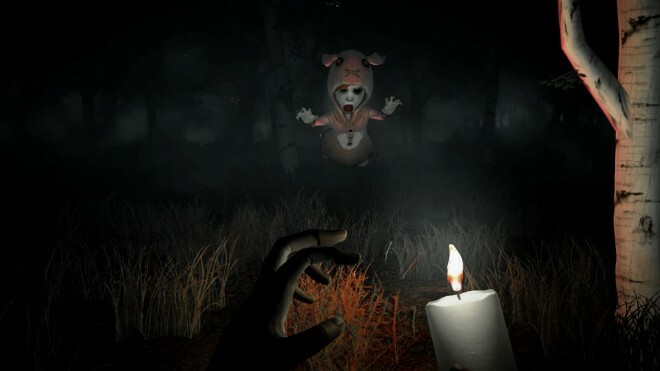 The forest never changes, which is a shame, but each hour of in-game time effectively represents the passing of a level, and the player respawns with new kinds of enemies to contend with. These enemies are revealed through (obvious) clues that are pinned to the trees near the spawn location, offering the player an insight into how to survive each encounter. Some enemies will give chase, others kill players who stare at them, and any of them could spawn right on top of you, leaving almost no opportunity to escape no matter what you do, although I don’t think that’s intentional. The baddest bad guys – The forest in Wick is allegedly haunted by the ghosts of a number of children that went missing years before, and the game is not afraid of throwing them right at you. Each one shares a comical but terrifying art style that is maintained across each of them but allows each one to have its own unique appearance. 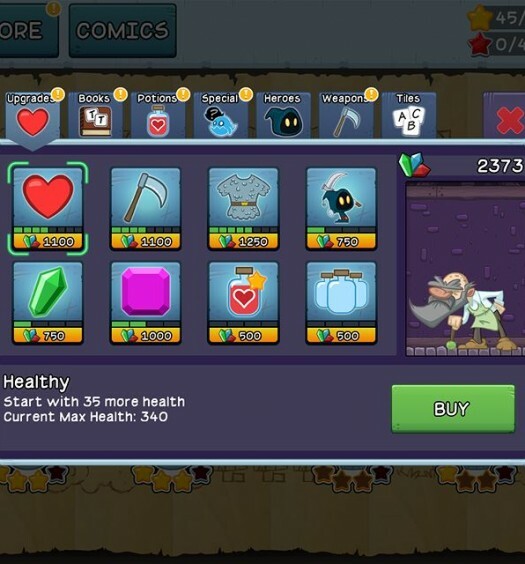 This is essential because the player is expected to learn the ways in which enemies will kill you, in order that they might be able to prevent it. Some of them are easy to avoid by simply turning or running away, whilst others have more abstract agendas – one of them must not be woken up, and at first it is very hard to work out how to avoid it. 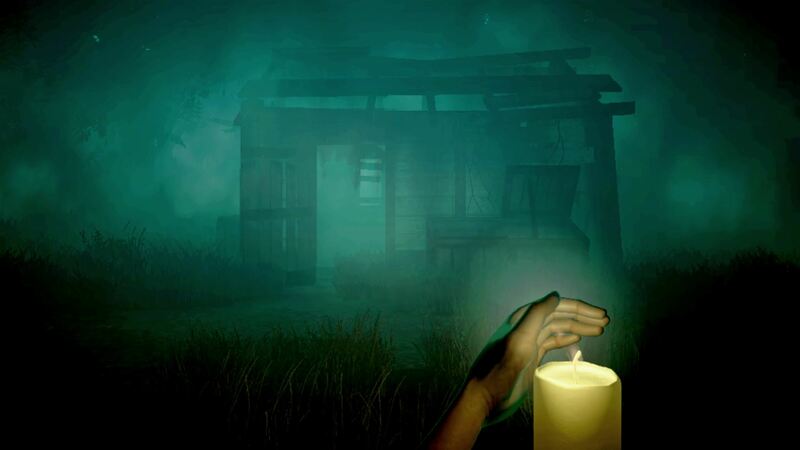 Tired horror formula – Although I quite enjoy the scare tactics and enemy design in Wick, I did find that the jump scares soon became a little bit tired. Once repetition sets in and the fear of surprise begins to wane, you’ll soon find yourself wandering around the forest exploiting the simplistic gameplay mechanics. Progress at a purely mechanical level is quite easy in Wick, and it often relies on jump scares and fear tactics to force mistakes from players. Over and done with – Wick is a decent game with a great premise, but like so many similar games, it is over too quickly. With effectively five levels (all of which take place on the same map) the game is quite short, and whilst it is relatively hard to get to grips with each new ghost as it appears, you will figure it out after a few deaths at the very worst. 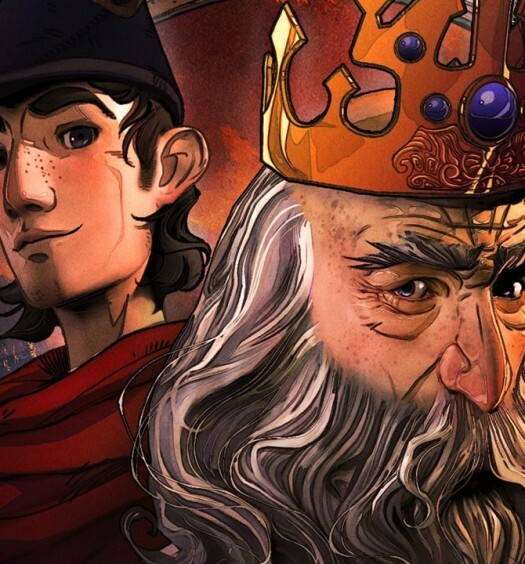 There are some collectibles that add to the experience and provide a little bit of interesting lore, but there is nothing even close to a storyline here, and there is relatively little replay value. I really enjoyed Wick for the short period of time in which it remained fresh, new and interesting to me. The forest is creepy and the enemies are terrifying the first few times you encounter them, but the fear is short-lived once rationality begins to take over. Playing Wick in a pitch black room, or passing the pad with friends can extend the experience. If you’re a fan of horror games, or you just love a spooky story, then Wick is well worth a second look. Wick was developed and published by Hellbent Games on Xbox One. It releases on December 21 2016, for $9.99. A copy was provided for review purposes.